We know that eating foods rich in olive oil is good for us, but did you know that many people use olive oil in their beauty regimen? Olive oil contains antioxidants which, when topically applied, may help protect the skin from premature skin aging. Actress Chloë Grace Moretz keeps her face clear by washing it with olive oil. And even though more beauty products with olive oil as active ingredient are available today than before, you can make them at home. 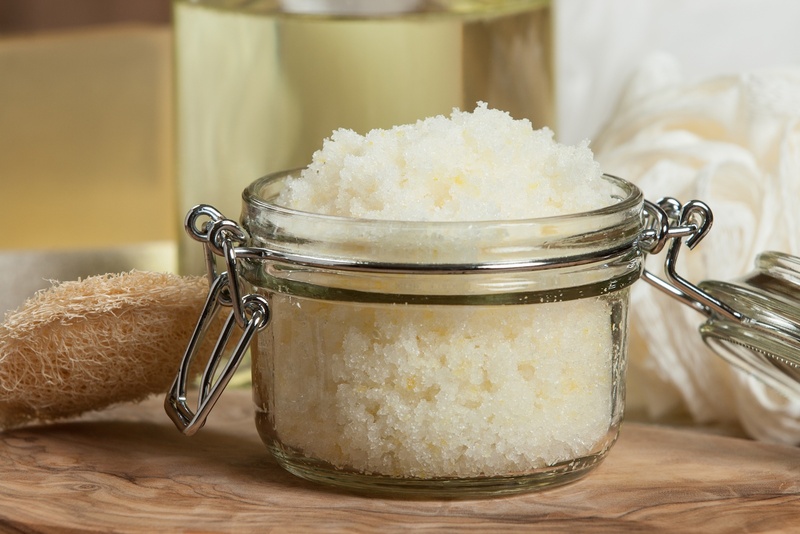 Here are the the ingredients to making a simple olive oil scrub. Use 1 tablespoon as needed in the shower. Scrub skin with the mixture and rinse will. it will leave your skin silky smooth. Consider that the scrub is easy to make, inexpensive, and make an impressive homemade gift. You can use it to slough off dry winter skin and to exfoliate chapped lips which makes lipstick apply smoothly. It is safe to ingest and can even be used by kids. It is also fragrance free and hypoallergenic. You can also make your own lip balm with olive oil.